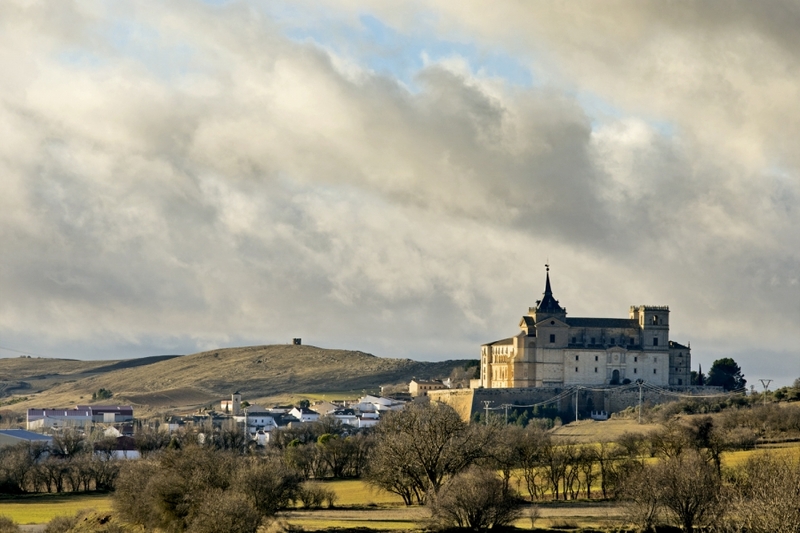 It has received the nickname of 'El Escorial de La Mancha' for its majesty. All a test of fire for those prone to Stendhal syndrome, by the profusion of art and history that houses every corner. 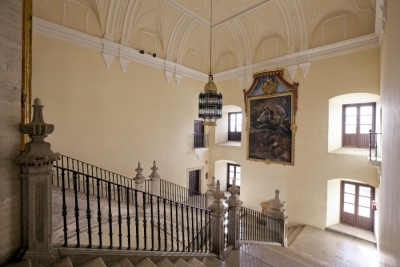 Names like Quevedo, Isabel La Cat�lica, Felipe II and Jorge Manrique linked their biographies to this site. 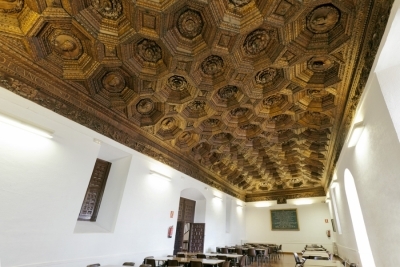 The building has its origin in the fifteenth century but has been adding avant-garde and architectural audacity. 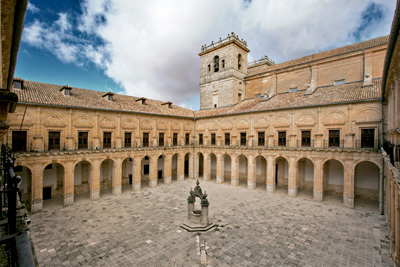 The main doorway, by Pedro de Ribera, is one of the best of Churrigueresque art and a delight is also its patio: a double cloister with 36 half-point arcades. 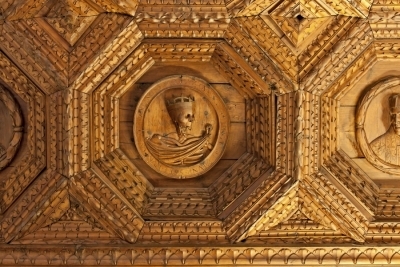 The refectory has a magnificent coffered ceiling and the hall houses excellent paintings. The church is sober style Herrerian. 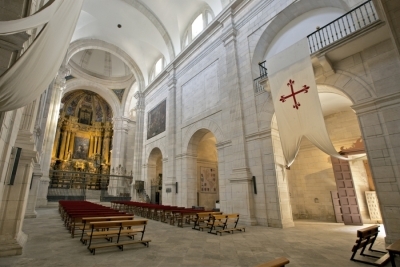 65 meters long and 12 wide with great surprises in its rejer�a, sizes and chapels. 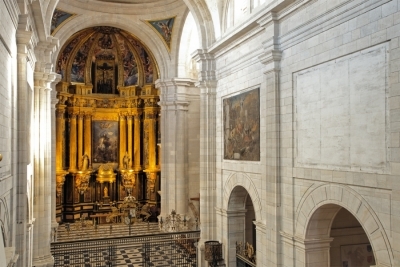 Precious is also the sacristy, rich plateresque ornamentation and starry vaults. The Monastery was built on the old castle, from the 9th century, key to the Reconquest. There are three towers left: the Tribute, the Albarrana and the La Plata. A part of the wall that unites them also survives.